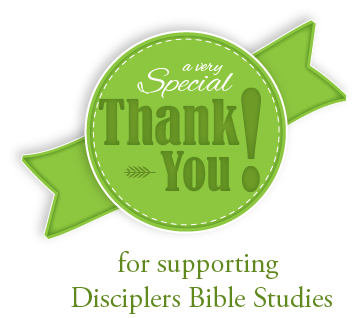 Thank you for your generous support of Disciplers Bible Studies. Your donation has been completed. Your gift is truly appreciated. Your receipt will be emailed to you through the PayPal website. However, if you would like to give In Memory Of someone special or would like credit to go to a specific class please let us know via the form below. Thank you.